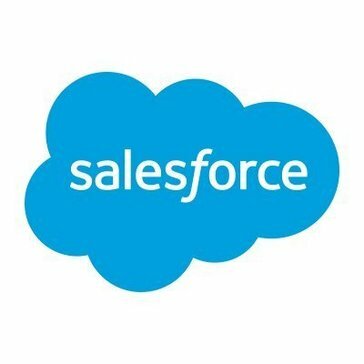 Work for Salesforce Customer Self-Service? Learning about Salesforce Customer Self-Service? "Powerful Platform with incredible features"
Salesforce is one of the most valuable tools in every business and for us in tracking emailing clients through a funnel. It allows us to build an internal or external relationship with our clients and how to track the member activity and engagement in some very powerful ways. Also tracking the work of our organizers and representatives too. It has a steep learning curve and you must train yourself to be more and more familiar with Salesforce. I've been using it for a couple of years for email campaigns and weekly newsletters, and yet I've barely known some of the structures for what I could be able to or not be able to do. I didn't have time to devote for more learning experiences with Salesforce. It allows you to track your clients or members and then see the arc of their interaction with your organization. It allows you to create a journey and experience based on their interactions with your business and gives you a quick follow-up when someone shows signs of life. "The best inside sales for college admissions and recruitment"
Salesforce Improves Student Data Quality & Recruitment Paperwork Management – One of the core functions of all CRMs is data management about student admissions. It has a host of easy-to-use options to input and manage student applications to financial aid data. Adding, removing, updating and sharing student data with other academic departments is simple. There is nothing that I have found to be an issue in the past nor current. I do not happen to have any current recommendations since being a consumer in the inside sales industry. Salesforce has helped acquire new students for the next enrollment period – For a college campus to grow it must continually increase its student body base. Salesforce makes this possible by providing useful, informative admissions reports and transcript data about current students and by facilitating new student and alumni program starts. "Love how organized I am now"
I love how I can see all that is going on with my work and deals. Its easy for me to report on deals I have going. I love it I am alos able to get complex with deals and make sure I am on top of my work. Honestly I wish I new more of it. I wish it had more training then I have had. Be ready to be a sales force snob and love it! We are able to solve the issue of not having a record for our clients. Now its all centralized and easy to access. Great software for managing contacts, marketing data and more. Has been helpful with outreach to current and new audiences. Primarily used to notify members of new classes and events. Helpful for reaching your target audience- I like that you can track your customers and their interaction. Allows you to create an experience for your customer. Takes some training to get used to but worth taking the time to learn. This is largely due to the amount of features that come with the software. Reporting can be a little tricky as well. I would also imagine this being expensive for a small business. Huge learning curve but helpful once the software is learned. Reaching current audiences to market new programs, classes and events. A great tool for marketing purposes and best suited for larger companies. "A Good Community Portal for Customers"
Best part of Salesforce Customer Self-Service is the ability to build a help portal for customers while tying it to our other Salesforce systems, plus records. Allows them to keep a seamless experience and it's easy to manage from our end. They talk about being able to customize the platform, which you can, but it's not the best. Keeping it to brand standards and really "wowing" people is difficult with the platform. If you have in-house staff who can build something, and you want a really tailored hub, that might be a better way to go. If you use Salesforce for other things in your business, then this is an easy natural step to take. We give customers a help portal to answer questions or solve issues they may have. I like how customers are able to do things on their own that only SF agents can only do before. It also allows customers to interact with SF agents b/c it is integrated with service cloud so they can start a chat for instance to get status on a service. Agents are also able to see customers activities in order to give them a better customer service for their needs. I usually do not dislike anything that Salesforce creates because I feel like Salesforce is always continuously improving their services and products for both companies, agents, as well as customers and users on both ends of the platform. I am able to communicate easier with the end users, customers. Benefits include cutting time for both users and agents. The ability to customize data -- from emails, newsletters and other deliverables we send. The ability to segregate contacts, lists and special notes also make it especially easy for our team to track key aspects of the process. The learning curve is a bit steep; it takes definite man hours to learn the process, ins and outs and to ensure you're using the features correctly. Our staff had training but needed additional training and I've found that not everyone in the organization is using it in the same manner, which can make working off of other's info. confusing at times. It's helped us to see our clients/customers/donors and really track their involvement and interaction with our organization. "it works but nothing like a personal touch"
It's efficient for companies that have to handle a large client list, but for a small firm/ opperation like the one I was at the cost did not outweigh the benefits the product offered. also the business prefeer the touch of a personal call compared to a client portal. In personal consulting, or consulting in general that doesn't service large companies, nothing can really make up for effective human interactions and a personal call when a customer needs help. The product could be used to resolve small issues, but for a small business the product cost more than the value it adds to our clientele. A 24/7 customer questions service, so when we couldn't answer the phones/ email there would be something to answer their questions. We quickly found the clients much preferred just to call the office and have their questions answered that deal with a weird portal they had not used before and management opted out of the software. "very customizable and yet easy to create self-service portal"
Salesforce does most of the work for you by providing templates that essentially create the portal for you. Once the template has been implemented, all you have to do is customize it with your colors and logo and decide what content (knowledge articles) you want in your portal. Also, Salesforce lets you create up to 100 different "communities" that can each serve as their own self-service portal for different purposes. While it's possible to create a public portal that doesn't require authentication, sometimes it's nice to have a community portal where users and partners can login and interact with each other. If this is the case, be prepared to spend an arm and a leg for customer and partner user licenses. Salesforce has a great product but it can be pricey. Depending on how complicated of a self-service portal you need in terms of the levels of content you have, you may be able to get by with something like Zendesk. We needed a better self-service portal than what we had. Salesforce's has very good search functionality, and it is also mobile friendly which is huge, as we have a mobile app that most of our users take advantage of. "Way to go / Great Product"
Highly recommend it to run in through the app instead of open it on the website since this way is most efficient and you can get faster response from this software. Also, when you hit the bottom "save" give it a few seconds to make it happen, is not that fast..
Keep all information, follow up, customer data base, this actually increase our efficiency of response and research of internal information having our time optimized and better structured. "Self-Service Proves to Offer Pretty Good Functionality"
For our company, it helped to overall reduce customer service costs. This was a huge help in terms of financing for our business. It also helped to boost the productivity of all of us agents. We were able to assist customers for longer periods of time and focus our attention on a customer in a better and more efficient way. The userability could use a little help. It took our agents a bit longer to adjust. Since so much of the foundation is based on "self-service" it can be be difficult to train employees to rely on that instead of old practices or ways. The functionality of the Salesforce Customer Self-Service could be cleaner and easier to use. The biggest business problems that were solved were productivity and cost. We were able to make our business' customer service more cost-efficient and able to boost productivity. A huge benefit was that increasing productivity radically changed the way we could help customers and radically changed the way each agent felt. They felt more importance in their job role because they were able to tackle customer problems more efficiently. This software does just about everything for you! Though it is comprehensive, it is very much still doable. You can easily access this and learn to navigate it without going nuts trying to figure out what is what! Luckily, in college we used a similar software, it was the free version but because of my experience it made this much easier to use. I fear that people with no experience- may not have an easy time getting this done, nor navigating easily. Whenever we have an issue we actually refer to How-to's and FAQ, help videos, etc. This provides step by step instructions on how to accomplish and solve a particular issue. We are using the light weight application from the Sales force previously we used the Siebel but now we got rid of that and now using the Sales Force application to analyze the customer data and this is very fast and highly reliable since the application it self is a cloud based one. I liked the fastness of the Application.. I would like to recommend for other customers who are trying to run their solutions very fast..
"Great tool to help in all sales departments"
If you misspell something, it generates all names close to what you are asking for. It is an intelligent tool. it offers the ability to run multiple types of reports and see communications at all levels. navigation is non-user friendly. Lots of clicks are necessary to find information. It is well worth the effort to using this product. There is more good than bad associated with it. Once you become familiar with it, it serves as a great product. Customer relation management/marketing/and communications. We have customized the platform and tool to help solve all issues within the 3 departmental needs. "Best way to handle an objection is to pre-handle it!" Customization, branding, and consolidation. Coming from primarily HubSpot experience, working on Salesforce CSS was pretty straight forward. Getting used to the customization/editor (and sometimes limited by). Stay native! If you're already on SalesForce, upgrading in licensing and adding CSS is the right move! Our client is a complete SalesForce shop (unlike the majority of our clients) and was looking to reduce support tickets. We assessed that grouping most common submitted tickets and creating a self-service portal would reduce submissions. After creating the community help section, including branding/designing and seamless integration within SalesForce... ticket submission was reduced by 21%. "Wonderful tool for managing contacts and extended, related information"
The ability to create custom forms to frame-in almost any view that is needed, including custom documentation from other repositories (linked to one source) is really helpful. Some screens and views can get very long and bloated. This takes some level of UX planning which is important to consider before just appending info to a form. Make certain that you have a domain expert / SME to assist with the implementation and ongoing configuration. We are solving the challenge of standalone documents and spreadsheets tracking supplemental information about our most valuable resource: our customer. "Easy to use for high touch Customer Cases"
When working on a case that requires multiple departments for resolving Salesforce is highly effective. The workflow is easy to develop to allow cases to be transferred from one department to another and loop back to the original customer service rep for final resolution. Training is needed to effectively utilize Salesforce. This is more of an internal suggestion as salesforce has a great interface but requires consistency from users. Previously customer service cases were tracked via email chains that were long and often were dropped for lack of case management. I don't like that it doesn't go to the next lead automatically have to manually click around to do so. Calling sales leads and knowing exactly what to ask from the customer, buolding customer relationship from the call alone! I love how they have worked really hard to update a lot of the software and work with customers on their specific needs for the sales. I don't like how some of the menus are set up in some of the programs. This sometimes makes things challenging to access what it is I need to accomplish for a given task. It may take some time to recognize all the menus to address specific needs for your company / client base but once you have that mastered the applications are quite simple to use. We are solving a lot of our manufacturing/ Sales with this program. This has helped our out reach to a lot of sites located in other parts of the country. "Love the ease of use and customer experience"
Salesforce is a powerful platform and this product s great, however for some who are not used to Salesforce at all it might take some time to get used to. Good news is that Salesforce offers free training which is also fun. Nothing so far, but you need to make sure you have right licensing model to what your company's needs are. The product is not cheap because you need to have SFDC service licenses to begin with. But if your company is looking to implement an all digital platform Salesforce is offering many different products and this is just an example of one. To enable self service for our customers thus saving our company's time and money to provide this service. The platform to create a portal is super seamless! At the moment, I can't really find anything obvious to dislike about this software. Please check this tool out if you need a way to create a central portal for your customers. It is seriously so easy to use and customize, and it reduces the complaints due to the ease of usage. Salesforce Customer Self Service allows us to create a central portal location for our customers and reduces the number of inquiries we receive. "Salesforce Self Service is great value"
I used this to manage my book of business and invoices. It is a great CRM service that adds true value and helps reduce cost. Perfect for the new company or sole prop that is looking to get the business off the ground. Tough to get adjust at first if you are no familiar with SFDC background. I moved over from Dynamics and it was tough to navigate at first. You are start off flying if you have a background. If not make sure you have the tech support which there is ample of at the SFDC website. Marketing my company and building a brand. Also cut down on level one problem solving. Could dedicate time to investing and growing company. "Great if you have great wifi!" it is very user-friendly to get set up. Appearance was very nice compared to older software used. Took us weeks to input all of our products and services for the hair salon I worked at...also was slow when I needed to book appointments. pages took way too long to load. "Fairly decent customer self-service solution"
Great for call center agents and other market-facing employees. Out-of-the-box integration with Service Cloud provides seamless self service and a 360-degree customer view. Minimizes handoffs and callbacks because of lack of customer information, thereby providing a seamless and delightful customer experience. Not as versatile as claimed by Salesforce. For example, it can't easily be customized to mimic an organizational view for B2B firms with intermediated business models and presence of distributors. Give it a try. It might just be what your organization needs. Seamless customer experience by minimizing the need for customers to repeat themselves or provide information multiple times. Also for single customer view across all product lines and channels. Very user friendly and straight forward if it suites your needs and you can find the topics for which you are looking. using clear and concise search descriptions helps navigate to the best solution. Often, like other similar support platforms that are open in this way, there is a lot of noise and distraction that interferes with finding a clear answer. This has more to do with the sheer quantity of information and conversation/exchange and less to do with this specific platform. Salesforce is straightforward but often times we have a challenge or two in getting it to fit our needs and that is when Self-Service comes in handy. "Great for managing sales and keeping track of leads"
Salesforce Customer Self-Service is a fantastic tool for clients to access answers on their own time table. It helps them deal with questions and complaints. Long-term customers end up using a mix of resolving questions - they will reach out to the customer service team and they'll use Self-Service. So, it's not always a one stop shop. Make use of customer service! It really helps customers deal with frequently asked questions. I really life the various functions and ability to customize based on each office that I am working with. I often cannot save my credentials and have to manually type in my password. I am able to get a better connection with my clients as well as provide better customer service because I can customize each customer's need without treating them all the same in a blanket service type. "Exceptional Capabilities, for any Business Size "
I liked this products functionality. From start to finish, whether it was inputting new data or refreshing my memory on a past, previous, or new account - I can trust Salesforce Customer Self-Service portal. I don't dislike anything about Salesforce Customer Self-Service Portal, all of its functionalities work beautifully. Organizing customer data and information. Salesforce Customer Self-Service has helped businesses I've worked become smoother and more efficient. "Allow your customers to get the answers they need anytime"
We were able to create a customized portal that our customer's use to place orders and update their billing information automatically. We had a minor issue once when we tried to merge two contacts together. The contact was not available to view temporarily after it was merged. The ability to have a fully customized, self service portal saved our customer service agents a lot of time. I really liked the fact that I could use salesforce for our restaurant owners to go online and sign up themself for our service and this would feed into an account in salesforce. "A great product all companies should use!" I like how simple salesforce is to use. It is very straightforward for even a new user to navigate successfully. Sometimes there is an error when I try to make updates. Use it- it will make your life so much easier. We solved the problem of having a lot of information scattered among multiple platforms. It is great to have it all in one place. "Self Service for Salesforce users"
Using Apex code and previous versions were not so flexible. Make sure you have a web developemnt person on staff if you plan on doing a lot of pixel perfect styling to be inline with corporate style guides. I really liked salesforce self service because this product helped organize notes and contacts under accounts and leads in one platform. I really didnt like the pricing on how expensive this product was and how long it took to get fixed when it would crash. I used salesforce self service to manage customer service and align all notes in one section. I love this software! For my company we use it to input all client data including date of birth financial account information task and opportunities. For anyone in sales it is a great way to keep track of client interaction. Business continuity is a huge problem being solved as well as all data being in one spot for the client. "Need help? Where here....but, not really." The platform is streamlined and makes it easy for our employees to be able to assist our clients no matter where they are. Not in the office...not an excuse. Literally everything is available at their finger tips. Like most things you get what you pay for. The major hurdle is the price point. It would be great to have more options in regards to bundling with their other products. Most of our employees spend 80% of the time out of the office. We needed a solution and this product serves its purpose. Salesforce is a bit more expensive then some its competitors, however it offers more resources and is easy to use - which ultimately saves me money in the long run. I would prefer if they had a lower price point for companies with five employees or less. "Easy to Use and Unlimited possibilities"
It can be a little difficult to troubleshoot problems because there are so many cogs that have to integrate. It allows us to get answers faster and frees up time waiting for an answer. We can customize dashboard very easily. we can easily manage any aspect of any type ia an appropriate way. User Interface is very attractive. It becomes diificult some times to find things in interface sue to so many options, once you get use to it, you acn easily operate. 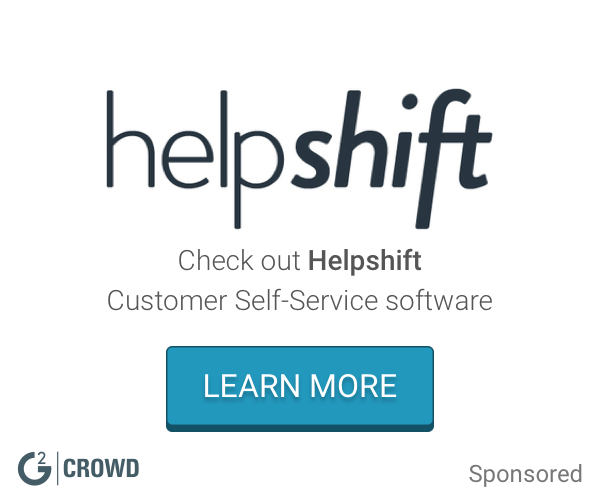 "SF customer Self- Service is a pretty great tool!" For the most part, Salesforce is great at being able to bend and mold to any of my business applications, and this is the same kind of product! It can be a bit clunky at times. It was pretty pricey for a seemingly similar solution to what we already used, but that is alright. "Salesforce Customer Self-Service is Truly Seamless"
In today's business client, front-end users want to have control over when they are able to access information and want it available in an easily searchable, digestible fashion. Salesforce Self-Service delivers this per the business' needs and that of its customers. Also the WYSIWYG layout has been easy to navigate, on the whole. Some interface changes do not necessarily correlate to the customer's immediate needs. In addition, the cost is a bit prohibitive. Measurable and marked reduction in customer service, customer-facing costs. The salesforce self service portal is helpful to quickly build a resource for self service clients to find everything in one place. Almost any process you would find in the normal salesforce suite can be replicated here for specific customers. The portal is useful for small businesses but can still cause some trouble when live support is needed. I utilize this resource to ensure the small businesses I'm working with have a basic set up to monitor customer activity and sales. I like how I can put in the information once and if needed to complete paperwork I don't have to input all the info over and over. Takes too long going from one part to the next. Makes my work go faster. This is a great product. It's very user friendly, both technical and nontechnical users. Not many complaints. While it is user friendly, it takes some time to get the hang of. Not many problems thus far, still relatively new. "Personalized Self Service Portal "
Salesforce Customer Self-Service Portal has seamlessly integrated into our day to day customer interactions. It was easy to set up and is extremely customizable. Extremely efficient mobile app support with minimum coding. It takes some getting use to and it's very difficult to change one thing under multiple contacts. We utilize Salesforce Customer Service Self-Portal to create a hands-on experience for our clients. We want to be able to customize how they handle solutions. This works well with the rest of the salesforce suite. "If you use salesforce, use this for self-service customer su"
Easiness to navigate Chatter between colleagues to share information and updates and "live feed" company most current information. Even though it is available to the whole organization, we use it mostly in small topic group. Almost like a private social network. Attaching documents - but it has improved. We use it mostly for marketing and keeping updates and status of records among team members. * We monitor all Salesforce Customer Self-Service reviews to prevent fraudulent reviews and keep review quality high. We do not post reviews by company employees or direct competitors. Validated reviews require the user to submit a screenshot of the product containing their user ID, in order to verify a user is an actual user of the product. Hi there! Are you looking to implement a solution like Salesforce Customer Self-Service?